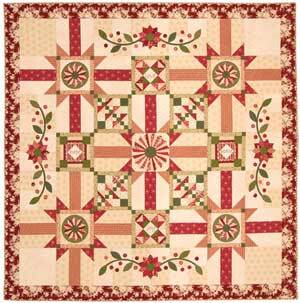 Block of the month quilts are meant to challenge quilters to try something new. Each month, for six months, you'll receive fabrics and Vicki Bellino's directions for a section of the quilt with piecing, applique, English paper piecing and embroidery techniques. Call today to reserve your kits - we will be announcing class times and dates very soon. Becky Madasz will be teaching this exciting class. Class attendance is not required to purchase the kits. This classic red and green quilt was designed by Vicki Bellino of Bloom Creek Quilts using Vintage Rouge by Marcus Fabrics. Once again we will have a LIMITED amount of kits. When they are gone, they are gone. If you are interested in participating in this block of the month, please contact us today at 727-461-4171 or email us at countryquilts@tampabay.rr.com. Wool is the newest trend in needlework. Join us Saturday, June 2, 9:00 to 12:00, for a FREE lecture with the option of a hands-on “Make It – Take It” project given by Marsha Hicks from Checker Distributors. Marsha is going to demonstrate the use of wool in needlework and wool appliqué. If you wish to participate in this hands-on learning project, there will be a minor kit fee of $7.50. Included in the kit is all the wool required to complete the pincushion as well as the needle, Perle Cotton, and crushed English Walnut Shells for stuffing. 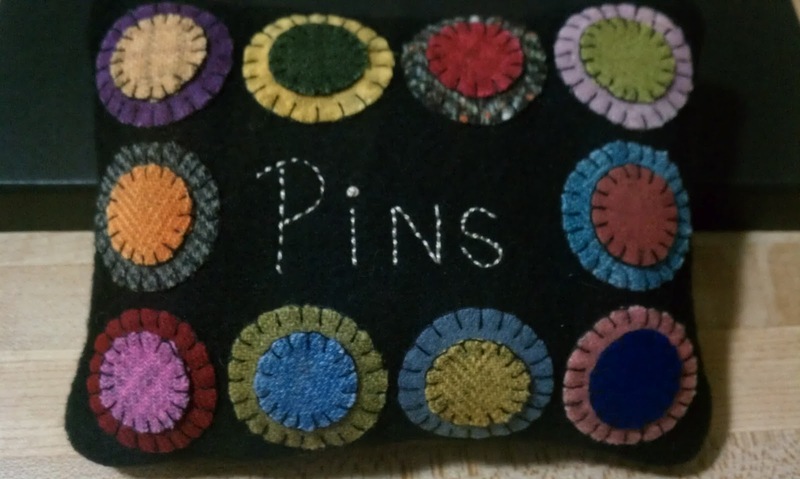 You will leave Country Quilts and Bears with the above pictured pin cushion ready to use. Come and join in the fun!!! Please call the shop to reserve your seat, as space is limited. 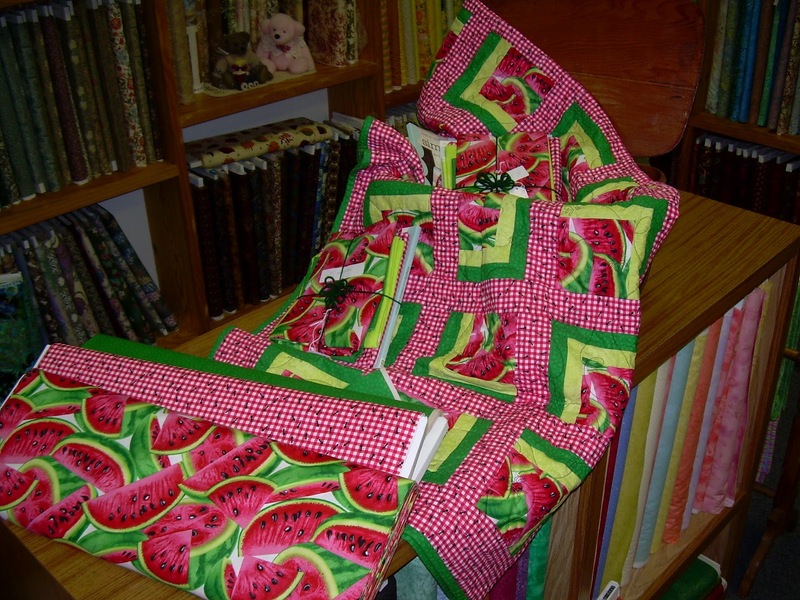 Your whole family will enjoy this fun Watermelon Quilt that can double as the perfect picnic blanket! Ants included. The Watermelon Quilt was made from a pattern that we found in the 108 - page book, Simplify by Camille Roskelley. This book is included with the kit for $69.00 and the kit makes up into a 56" X 65" quilt. Don't forget that wedding season is just around the corner and this would be a perfect gift for the bride and groom. Come by the shop today and see our sample! Happy Mother's Day to all you Moms from all of us at Country Quilts and Bears. 1. 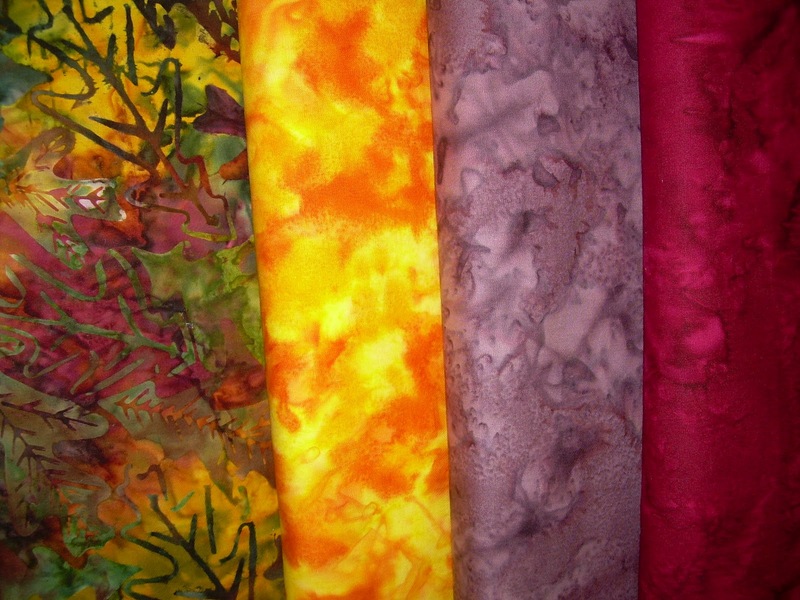 Must use some of the four challenge fabrics. 2. Can include up to four more fabrics. 3. Please create smaller items. No large quilts. 4. Must have personal quilting either hand or machine. No professional longarm quilting. 6. 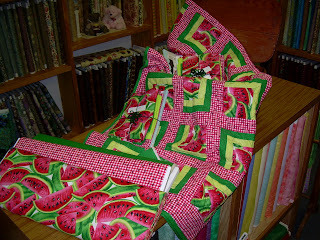 Your entry must be returned to Country Quilts by October 1, 2012. 7. Entries will be on display so customers can vote for their favorite during the month of October. 8. Winners will be announced and prizes awarded the 1st week of November.